Experiencing a house flood or any kind of water damage can be devastating, especially if you are unprepared for it. There is nothing more heartbreaking than seeing items or entire portions of your home being thrown out because they are not savable. This is particularly hard to deal with if you have heirlooms or are sentimental about your belongings. Even if you don’t have a lot of feelings for your things, it is just hard to deal with losing what you worked hard for. Here are some ways to deal with that loss. Many people have very strong feelings for their belongings. People tend to tie emotions or memories to items, so losing a photograph or a keepsake may feel like you are losing that person. This can be particularly hard if the items were a gift from someone special who may have passed away. There are whole support groups that are dedicated to people who have experienced tragedies and this is a good place to start looking for some emotional support. It is likely that it would be mentally healthy to talk to a therapist of some sort as well, but the benefit of a support group is that most often they are free to join. Your emotional loss can be just as severe as your physical one, and you should repair that just as you would repair water damage. The physical loss is a bit easier to identify solutions for than an emotional loss. What you should do right away when you experience water damage, is call a water damage restoration company to help you with the cleanup. A professional can handle everything from the smallest water damage to entire rooms and full reconstruction. You should also contact your insurance company and see what kind of coverage you have for water damage. You will need a detailed list of damaged items and areas and photos will be helpful as well. Unfortunately, many people are not prepared to take on water damage, but the experience will teach them to be very careful in the future. The best way to have ease of mind after dealing with water damage is to be prepared for it to happen in the future. Depending on what the cause for the damage was, you could make some changes to make your life easier in the future. If you need new flooring, maybe you’ll consider using a flooring that is more resistant to water damage, like tile. 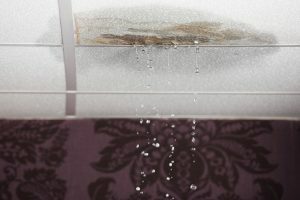 If you have water damage from constant humidity, you could buy a dehumidifier and make sure you have better ventilation in your home. If you had a frozen pipe burst, you could schedule your thermostat. If you had sprinklers burst, set a reminder on your phone or calendar to winterize for the season. There are many things you can do to prevent water damage from happening in the future, but even sometimes those things don’t help and you will still need a water damage professional to help you out. In St. George, Utah, you can rely on the professionals at Ally 1 Disaster Solutions to help you with all of your water damage needs.